we always try our best for all our customers so its very rewarding to know that people appreciate our efforts. I would just like to thank you for the superb speedy service we received when purchasing a new washing machine and tumble drier online from your website. Though we live about 25 mile away, from our initial enquiry and purchase to installation was less than 24 hours. Delivery/installation guys were very efficient and polite. 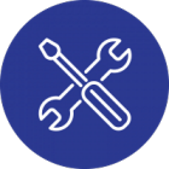 We first used your services when our Panasonic DVD recorder needed repairing a few years ago and our local Panasonic agent said it wasn't faulty, but your engineers diagnosed the fault and repaired it, even collecting it from and returning it to our home. We would like to say a huge thank you to the Hylands team. Having spoken to Alan within service and stressed the urgency of a new hob, he instantly did what he could to arrange installation of my new job for the Saturday afternoon, despite having a shortage of installers due to holidays. Our job required two men as the under hob oven needed to be taken out. Glyn and Steve arrived on the day to carry out the work. Steve, we believe would have normally been based in the warehouse. Both Glyn and Steve were outstanding. They treated our property with the upmost respect. Nothing was too much for these guys. It was lovely to have workmen arrive at your property and leave the job without any mess or damage. Please could you personally thank them. We will definitively be using your company again. A fabulous service from start to finish. Thank you. I visited the Longton branch last Thursday with my Dad to help him purchase a new washing machine. We were attended to by Ron and due to the exceptional customer service that we received from him, I wanted to leave feedback. Ron was extremely professional in his approach, engaging, polite and most importantly listened to our requirements which he then translated into showing us the optimum machines to suit my Dad's needs. Ron explained comprehensively the different models demonstrating excellent product knowledge. He arranged for the delivery and installation to take place on Friday and although I was not present for this, I can confirm that Dad was also extremely pleased with the delivery gentlemen and the excellent service that they provided. I have to commend Ron overall for the outstanding customer service that he provided. Usually, people work at the level required to meet the customer's needs but I have to say that Ron's focus was to go above and beyond that level by aiming to exceed customer expectation and his attitude is most definitely what differentiates good customer service and outstanding customer service. Thank you Ron, you are an excellent ambassador for the company. I would also like to take this opportunity to commend Hyland's - I really appreciate independent shops where a customer feels that they are valued through being treated as individuals rather than just another customer through the door. It is this personal service that will ensure that I return to you in the future. I am writing on behalf of my mum Bridget Kaine to say a huge thanks to Hylands for their outstanding customer service. The washer broke on Friday and as mum is struggling to walk at the moment and cannot get to the shops I rang the Longton branch and explained our situation . The gentleman I spoke to was very patient and helpful and I ordered the washer that we required. However, mum wanted to pay cash but as she couldn't get across to the shop I didn't know what to do. As we live close to Hanley I was told that I could go into Hanley to pay the next day which was brilliant. I went in to Hanley on Saturday and was seen by Jamie who already knew about the purchase. Both Jamie and the other gentleman in the shop were friendly and helpful and again everything was done speedily. The washer was delivered yesterday by two friendly cheerful men who never once complained or moaned as you often hear delivery men doing these days. They installed the machine quickly and with no mess. It is so rare these days to find a company who really believes in first class customer service and will be certainly using you again. Thanks to all. Would just like to say how helpful Richard & the delivery team were in dealing with my order for a new washing machine. From ordering, to organising a loan machine whilst waiting for my new one to come, to the delivery & installing. Thank you to everyone. Have already recommended your store and will definitely be using you again. I just wanted to say thank you for your superb service. My washing machine broke down mid cycle on Saturday, I located a replacement on your website, telephoned your Stone store and it was delivered, fitted and the old one removed this morning. 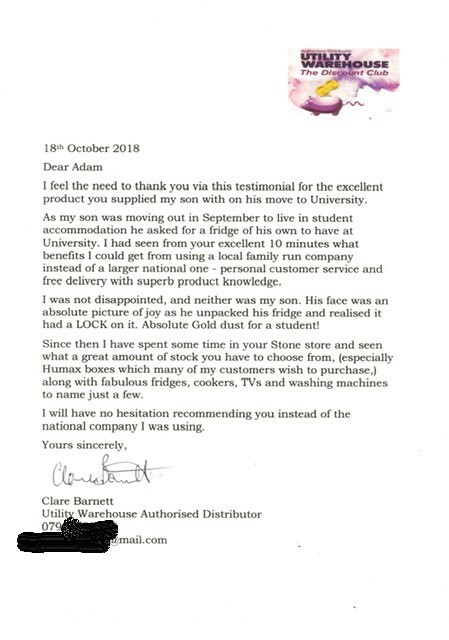 I can thoroughly recommend your store and your delivery men were lovely and ensured that the new washing machine was fully working before they left. Hello Hylands just thought I'd let you know that I have had another good experience at your Longton store and once again was helped by Ron. I have made many purchases from you over the last few years and would never shop anywhere else ever. When my family need anything they always ask me to get it for them and I always come to you guys. On one occasion I even paid more for a cooker than I would have done if I'd bought it from another store but I only have confidence in Hylands. I was looking for a Zanussi gas cooker for my grown up grand-daughter and decided to get her the one that I had had from you five years ago and as I couldn't see it on the website, I came to see Ron on 6th February. He had one in the showroom but it was white and I wanted to get a black one the same as the one I had so Ron said go and do some shopping and I will ask head office if we can get it. Came back and Ron had come up with it. As there were three cookers pretty much the same he went to the trouble of printing off the specs of all three. I made the decision right there and then and ordered it. It's black like mine but slightly different and it was delivered 13th February. Grand-daughter is very pleased with it. Six months ago my daughter in law moved home and purchased her washer, cooker, dryer and dyson vacuum cleaner from you. She had previously bought them all from you before but wanted all new again so came back to you. In fact it was she who told me about you some years ago as she came from Longton and her mother had always bought from you. 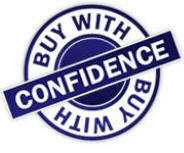 I believe people have more confidence buying from a local family business than just a company on the internet. old and installed the new! lovely staff and delivery lads....well done! The weekend 2nd / 3rd May our fridge freezer and Sony TV both failed. I knew Andy Fox, a parent at my son’s school had some connection with both white goods and technolgy. In the playground on Tuesday 5th May, the first opportunity I had to speak to him, I told him what model fridge freezer we wanted, and also which 4k LED TV system. ‘I’m not at work today Mike’, he said, but I’ll telephone work, check the stock situation and get back to you in twenty minutes. By 2pm the same day both items were delivered. Now that is what you call service! I get the impression from Andy that he and Hylands want to treat the customer in the way they would like to be treated themselves. That’s a brilliant way to do things. Repeat business is crucial and the best way to get that is to delight the customer. A couple of Raleigh bikes, and Roberts Radios/Hi Fi/TV. Resellers have seen their box margins coming down year on year, so it is encouraging to see an established company with an interesting history and an expanding future. Your team are probably your most important asset and it is clear from your site that there is a fair amount of friendly banter and fun going on at work, which is exactly as it should be. Thank You again for the brilliant service and we will recommend Hylands with confidence. Our fridge broke down on the morning that we were due to go on holiday two weeks ago, leaving us with the task of quickly getting a replacement on our return; and at the height of Summer to! We discovered through your team that our 20-year-old kitchen was a one-off and that we were going to have problems with a new built-in fridge. Richard in the store could not have been more helpful; trawling not only through the company's stock but also through all fridge manufacturers' on-line details. The result was that he found, in stock, the only model that would fit our kitchen arrangement. He had a model delivered to the store so that we could decide if it would be suitable and the new fridge and fitters arrived the next day. Your fitters cheerfully tackled all the difficulties that were presented by a tricky installation and we are now back to normal. We've frightened them all by telling them we'll ask for them personally when the freezer, which looks like be another one-off problem, fails! Could you pass on our thanks to the people concerned. We would like to commend John at the Meir store for his outstanding customer service. After speaking to him on the phone about an integrated fridge/freezer on Saturday, one was delivered approximately 4 hours later. John's advice and efficiency was excellent and we would highly recommend Hylands. Thank you John. advising me that would be 1 st or 2 nd job this afternoon. AMAZING! I recently needed to replace my fridge and decided on a fridge/freezer. my needs John rang me back after finding one almost identical. He took payment over the phone and arranged delivery to suit me. It is exactly what I wanted and it was all taken care of in my lunch hour. my electrical needs in the future. > Just wanted to say thanks for the excellent service yet again from the Longton branch. Brought a Bosch washing machine to replace a broken hotpoint device and needed it asap. Delivered same day within a couple of hours of being in the shop. No other company has even come close to your customer service standards. Will always use yourselves from now on even thought this is my second Bosch purchase of yourselves and will always recommend you. The delivery guys were excellent as well so from my point of view its just excellent service from start to finish. I wanted to write and congratulate you on the performance of Simon at the Hylands branch in Stone, Staffordshire. 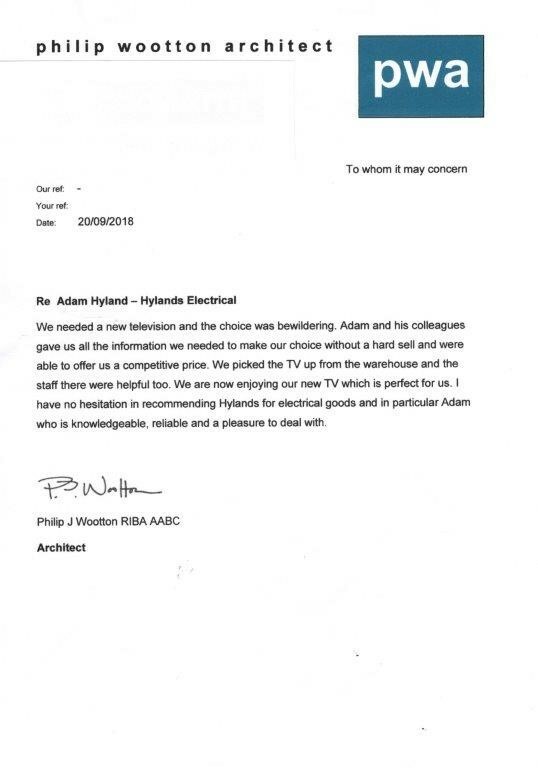 Simon's professionalism, openness, honesty and clear product knowledge were a key factor in our decision to go with Hylands for a recent purchase of TV & Surround sound etc with value in excess of £2000. 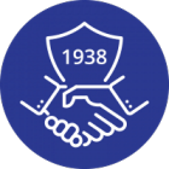 Furthermore, Simon's after-sales support in resolving a few issues we had was outstanding and will ensure we will use the store again without hesitation, and indeed recommend doing so to friends & relatives! Simon should be congratulated on his efforts and it means that we have the opportunity to buy locally, from people who are not just "face less internet organisations". The Hotpoint Fridge Freezer we bought from your Longton shop 9 years ago developed a fault on Saturday 3rd March 2012. We have got cover with RETRA Insurance but found out that there was no one to take our call as they don't work at the weekend. I telephoned Hylands and spoke to a gentleman called Bill. He was very nice but he explained that we would have to wait until Monday to arrange an Engineer to visit. As you can imagine I began to panic as we had just filled the freezer which I had already mentioned to Bill. Ten minutes later we had a phone call from him asking us if we would like to loan a fridge freezer until it was repaired. We could not believe how thoughtful and kind this was, and within an hour it had been delivered. Can we just say thank you so so much for coming to our rescue. We phoned RETRA on Monday morning and on Tuesday a Hotpoint Engineer came and repaired it and you kindly picked the loan one up on Wednesday. Can we once again say a VERY BIG THANK YOU to all involved at Hylands. We are also sending a letter to The Sentinel regarding this matter and hope they will print it. When I discovered my washing machine had broken down on Christmas eve, I went down to Hylands in Longton at lunch time. The staff could not have been more helpful and by 3pm I had my new machine installed at my home. I then checked the price comparison sites to see if I had got a good deal. I discovered the product was £4.95 cheaper but having factored in the £12.95 delivery costs I had a much better deal. With this excellent service I will in future always buy local. Took delivery of our new led tv and home cinema on Saturday. After lots of advice from your staff (esp. John at Meir) we purchased on Friday and it was delivered on Saturday. Fantastic !!! the whole experience was was made as smooth as possible- your engineers were efficient and helpful. btw- at the same time some friends have spent most of the last three days travelling from home to one of the large discount "sheds" in Stafford trying to get their tv to work. They are now going back for a refund and will come back to you. >> walked me through the procedure on how to add the freeview channels. >> impersonal I find Hylands employees very friendly and helpful. >> excellent and friendly service. I just wanted to say thank you for your prompt service today. We called on Saturday to let you know that the tv had stopped working and Martin came out this morning to replace it. Very impressed with the service and Martin was very professional and polite! This is why we purchased from you - and not Amazon etc...!! As I was in dire straits days before Christmas in need of a cooker I went on your web site listed a few ovens but was a little confused with the "hard wiring". I thought I had better speak to someone before ordering. I did & he was really helpful, don't know his name, but thankyou for all the info. After hearing it all I made my decision and held my breath after asking when delivery would be. It could be delivered that afternoon what a suprise I was over the moon. A lovely young man made the delivery and he was polite and courteous (without being American) if you know what I mean. A big THANKYOU HYLANDS stay just as you are. > instantly had confidence in Ron's knowledge of the products you stock. > etc. where the customer is not as important as the sale! > you on, Keep Sundays special for as long as possible! Dear , Ron, & staff at Longton branch, I wish to thank you for your help and advice on choosing my new tv. I am very pleased with the service, especially the speed of delivery. I came into the shop this morning and am already enjoing viewing my plasma tv. I made the right choice of screen size [ 42 ] and having taken measurements of cabinets from your website i am satisfied with my purchase. I will definiatly recomend Hylands to my friends. Thanks again, Tracey Handley, Newcastle. Many thanks for your prompt reply and the excellent service we have again had from Hylands. The new freezer is being delivered tomorrow at a time convenient to us and at a very competitive price. 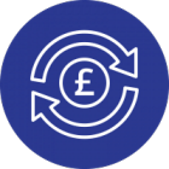 We live in Stone and try to use local shops and suppliers as much as possible - we bought a washing machine from you a few years ago and had equally good service. The staff at your Stone branch deserve a huge compliment - that have provided us with a level of service above and beyond anything the major chain stores can aspire to. Please thank Paul in particular for being so friendly and helpful. Well done and to beat this the shop assistant was one of the most helpful and polite my wife has come across. Not only this but, the two delivery men who also installed the washer and checked it for working correctly were friendly and great. In fact they were that quick at installing, testing and removing the old washer I never had chance to offer them a cup of tea. The best for me is still to come! I wish to thank you for your exceptional standard of service that I have received from your company. I contacted your company at 09.00am on Saturday 12th March 2007. As our tumble dryer had packed in the day before. I checked out most of the major electrical companies for prices and details of a replacement. I saw an advert in the Sentinel for your company and checked out your web site. 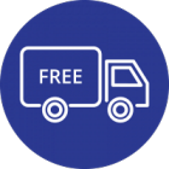 How surprised I was that you where cheaper not just for the product BUT you offered Free Delivery and Installation. I ordered a New tumble dryer at 09.00am and was informed that it would be delivered later in the afternoon. We have told relatives and friends about this. I wish to thank you for your exceptional standard of service that I have received from your company. Many thanks to PAUL at the MEIR BRANCH, as I said to him TODAY! You have got a customer for life, even if I am a PAIN IN THE **** who wants the best deal possible! Just a quick note to say thanks to Ron & Karl for all your help with our recent purchases. It was a refreshing change to deal with a company with friendly & helpful staff. We bought two fridge freezers & a tumble dryer. they were delivered as & when promised at a very competitive price. I would have no hesitation in recommending your company (have already done so) to anyone.